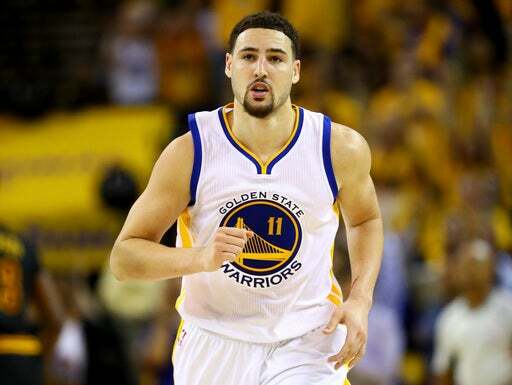 With all the star power on the Golden State Warriors, it’s easy to forget about Klay Thompson. After all, whenever Golden State is discussed here’s usually how the breakdown goes: Steph Curry is the star. Draymond Green is the jack-of-all-trades overqualified role player who also doubles as the occasional loose cannon. Andre Iguodala is the sage veteran. And there’s that other guy who just joined the team this offseason, the one who’s sure to steal headlines as well. What’s his name? Kevin something? It’s easy to overlook Thompson, even after a second straight All-Star appearance and career-high 22.1 point per game this past season. But there’s one person who refuses to do that, and does appreciate what Thompson is: One of the most versatile players in the game. There aren’t many authorities more qualified to assess all-around basketball talent than Coach K, given that he’s won a five NCAA titles and two Olympic gold medals. But it feels like more than coach-speak from him. We obviously know that Thompson is one of the premiere shooters in the game (his 276 three-pointers this season were second only to Curry), but let’s not forget that he’s also an impressive all-around scorer, who shot an impressive 47 percent overall from the field this season. On defense, he averaged nearly a steal a game. 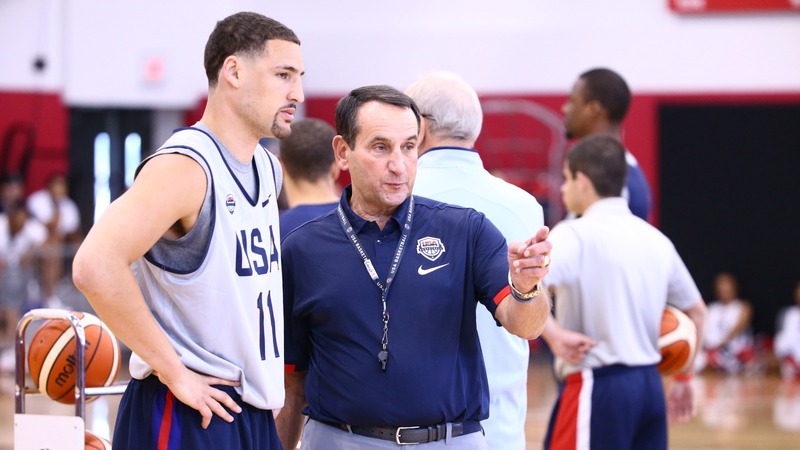 Coach K is also correct on Thompson having a great motor. Thompson has played in 320 of 328 regular-season games the past four years, with 45 playoff games thrown in during that stretch as well. We’ll see if he can make his coach look smart, when Thompson and Team USA begin the Road to Rio, with a game against Argentina on Friday night in Las Vegas.